How did you spend your Christmas 2018? 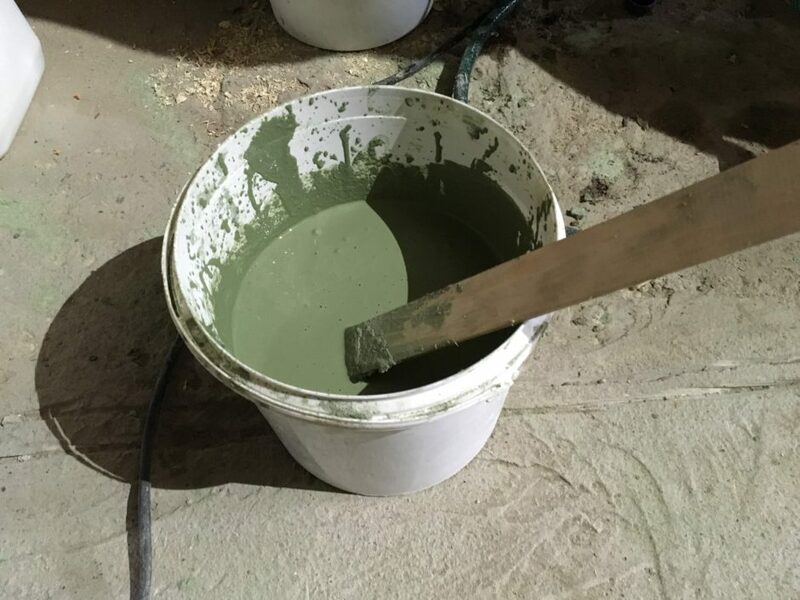 We spent it finishing our bonded screed. 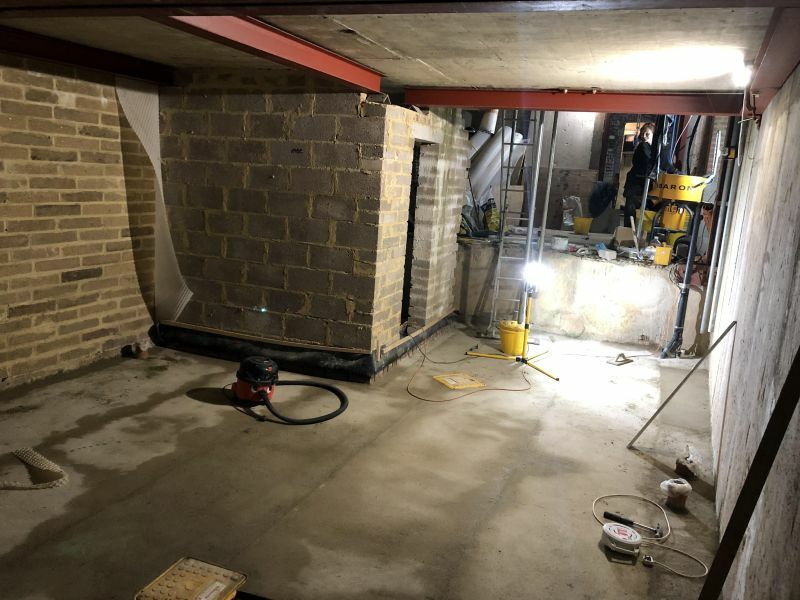 One electrical explosion (and a shipment of a £70 capacitor from the US), one broken wrist, a small amount of blood, a tonne of sweat, and many tears later, our rear basement bonded screed is finished. 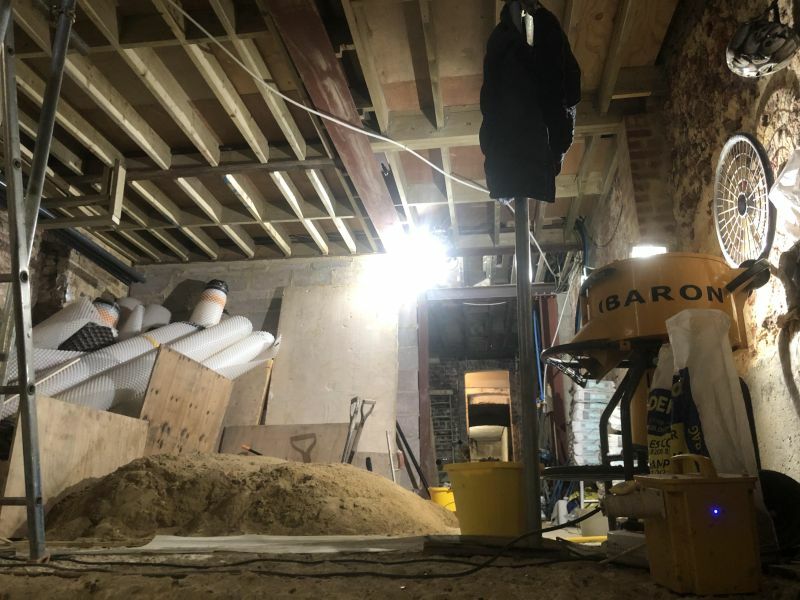 Actually the process was spread across a couple of months because we had to pause works on the self build due to this little thing called “running a business” (nothing to do with building). 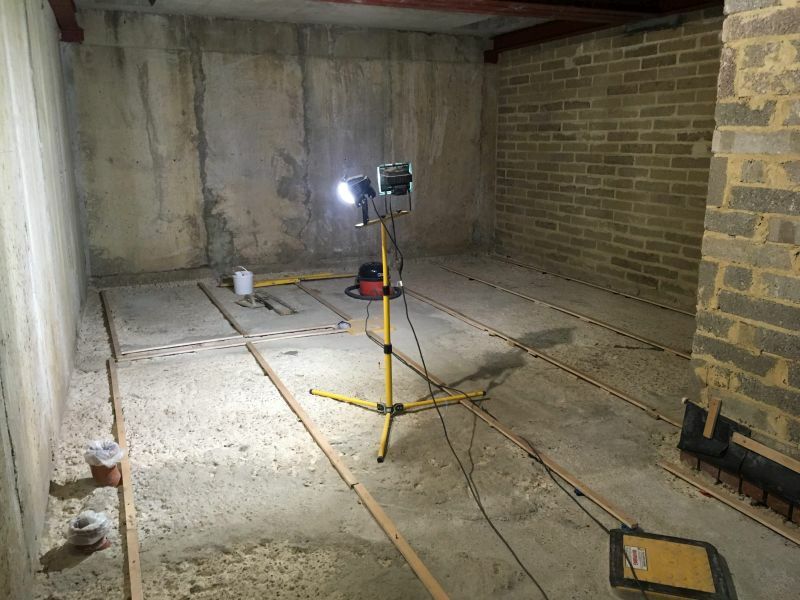 See my previous blog post about the beginnings of our journey into waterproofing a basement. Broken wrist?! 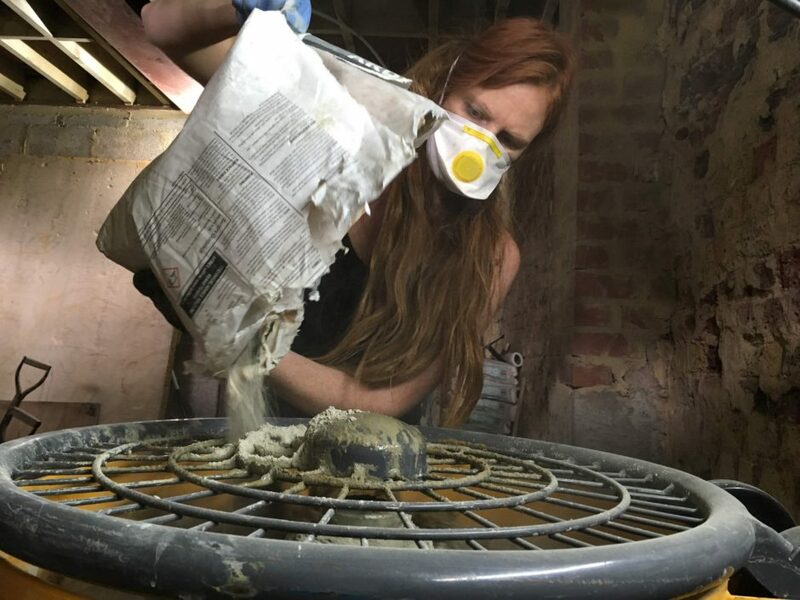 Yes, Anna managed to get her hand stuck in the forced action mixer. That thing is designed to ensure you don’t put your hand in, it has a safety cut-out if you try to open the lid, etc. Anna managed. 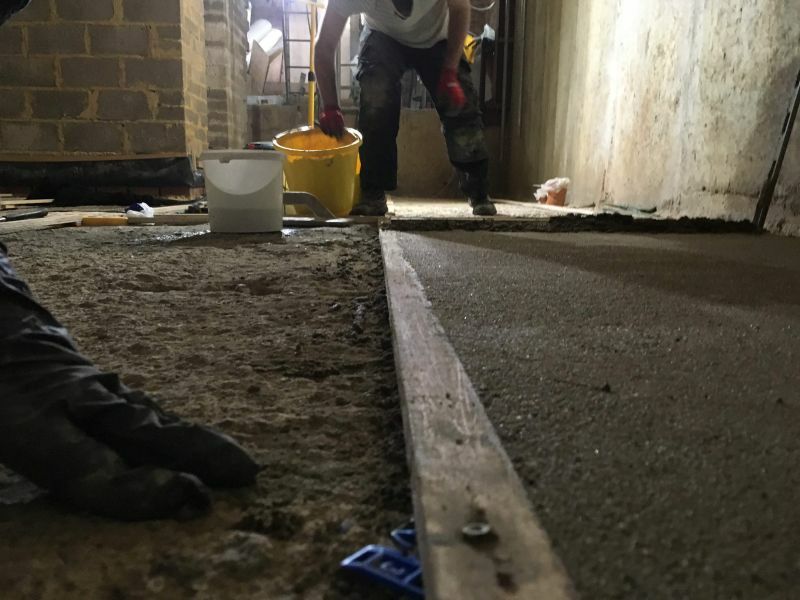 When it’s your first bonded screed – scrap that – your first ever screed… and it’s your own home, and you’ve no real experience doing anything like this before, you tend to get obsessed with making sure you don’t screw up. Every fine detail feels hugely important. 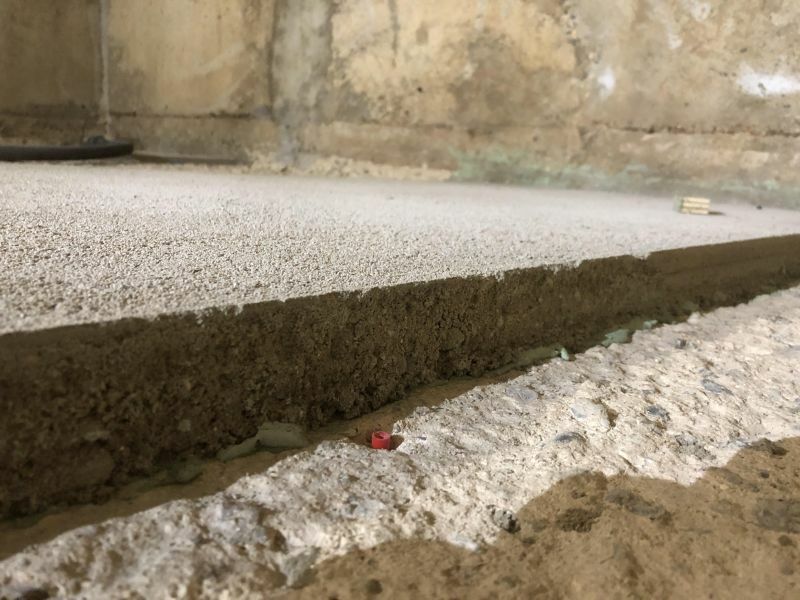 The correct ratio of sand to cement to water – probably second nature to experienced flooring contractors – becomes this thing you have to research, plan, prepare, and test. When I cook, I take a recipe from a book or the web then I re-work it according to how I need the information presented to me during the stressful stages of being in the kitchen. Yes it’s a little OCD. But it works for me. I find that recipes tend to skip over important details, move onto the next step assuming that “finely slicing 10 onions” will take only 3 minutes, etc., hence I need to fully assimilate the instructions and re-write them before I even start to cook. 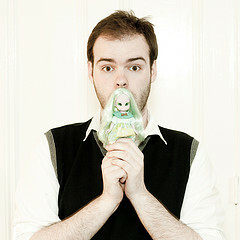 I’m a terrible bore to live with. Hopefully, my diners enjoy the end result. 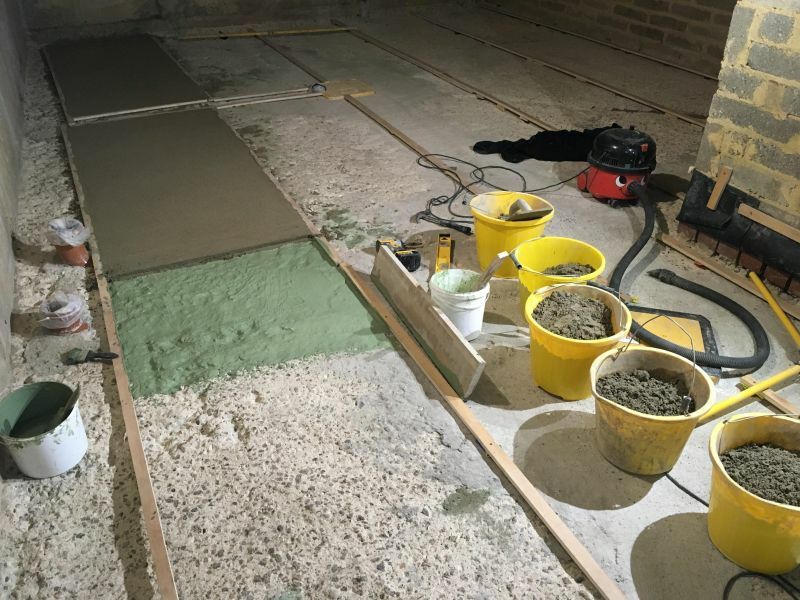 I had to turn screeding into a recipe before we even got close to turning the mixer on. 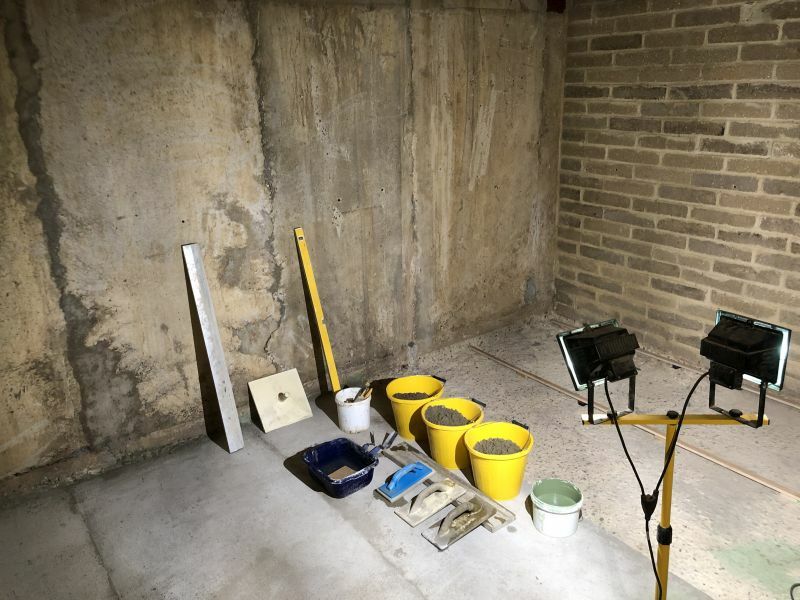 The benefit was that we bought almost exactly the correct amount of sand for the job (40kg short, based on over 3 tonnes of sand), and everything went smoothly – aside from some little accidents along the way. 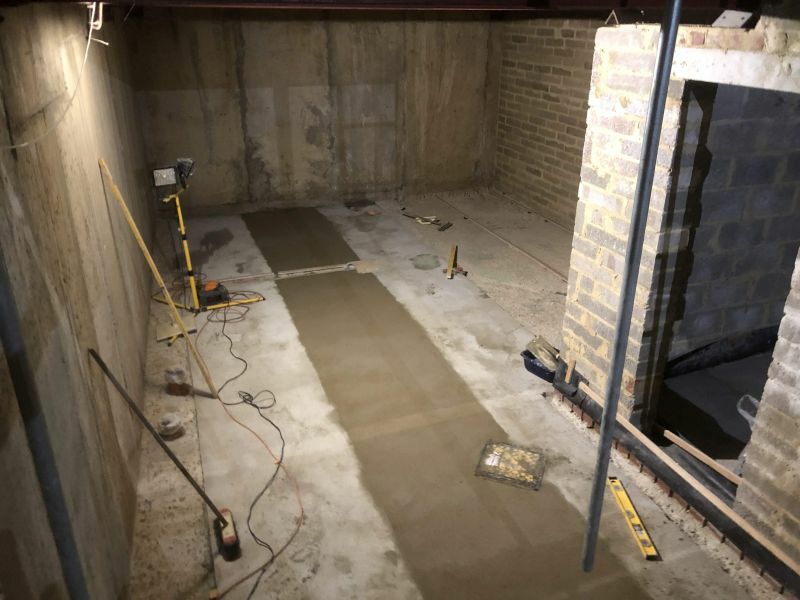 To be fair, a bonded screed is a little more complicated than a normal screed. 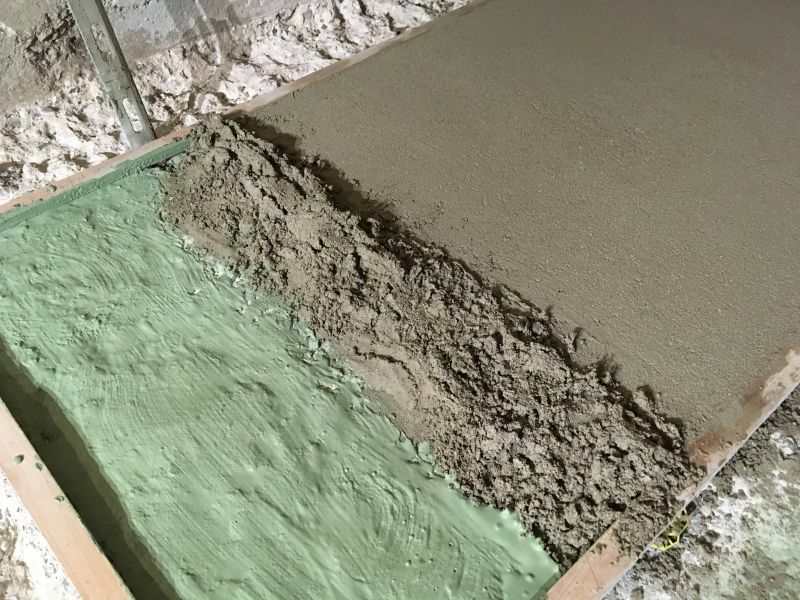 And our bonded screed was made worse by the substrate, concrete formed into a microcosmic version of the Rocky Mountains. 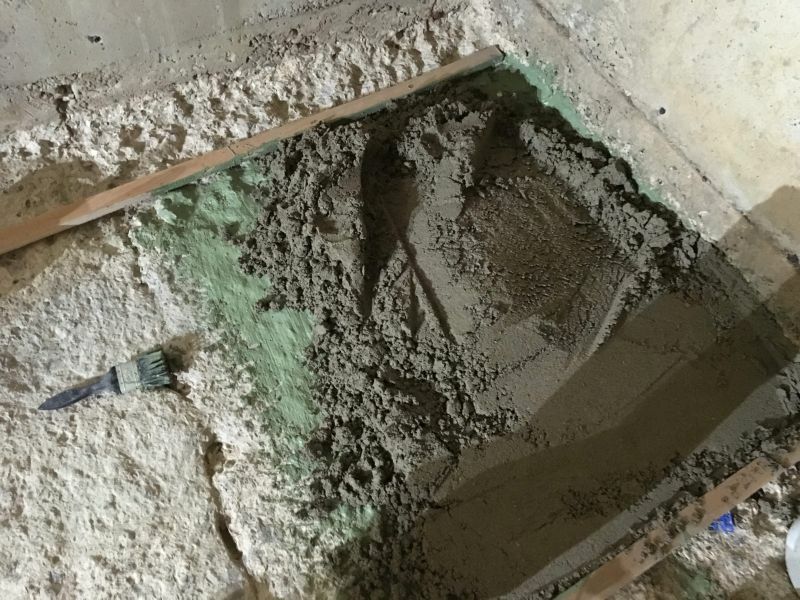 An absolute nightmare to clean and clear dust, which is a critical part of getting a good bond. 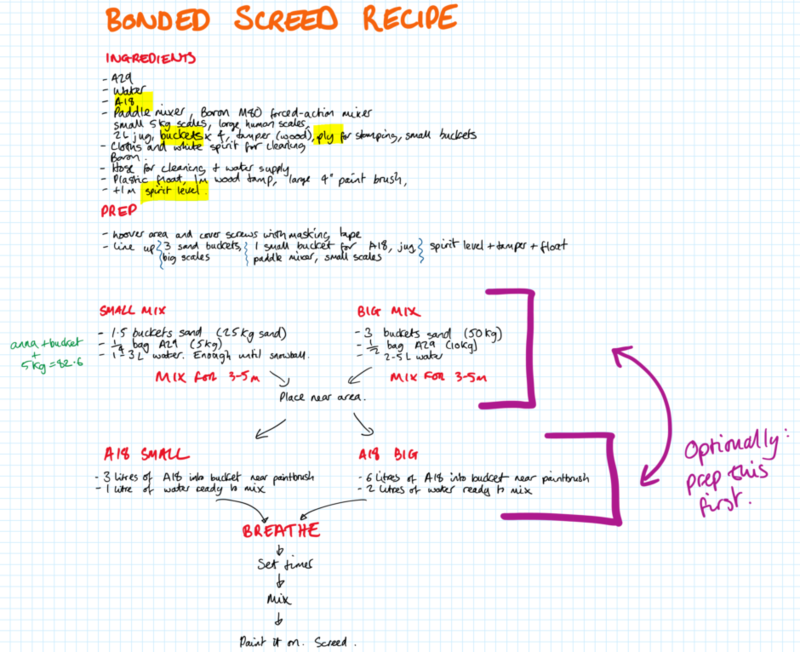 Yes, I wrote a recipe for bonded screed. Jamie Oliver eat your heart out. 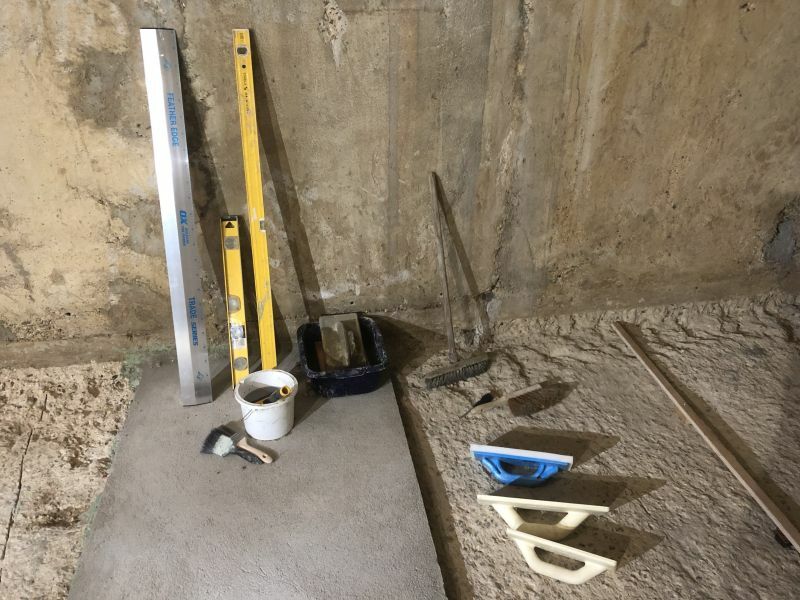 This entry was posted on Tuesday, January 15th, 2019 at 8:04 pm	and is filed under Self Build. You can follow any comments to this entry through the RSS 2.0 feed. You can leave a comment, or trackback from your own site.